Patricia Beaune provides an overview of the honey industry and explains the techniques that are currently being used to detect and identify counterfeit honey products. Can you give an overview of honey profiling? Why is it so important for maintaining the quality and purity of the available honey? Without testing commercially available honey, it is impossible to guarantee that is safe, natural and authentic. This is because bees are free agents, they cannot be restricted to a specific region, or to a type of plant that you would like them to pollinate. Bees may collect nectar from the desired flora or they may find other flowers that they prefer, which will change the composition of the honey, or contain contaminated nectar. To test for contaminants, as well as floral and geographical differences, honey has to be controlled by a competent lab with the latest adapted technologies, such as food screeners, which help to effectively screen large quantities of honey. With the Bruker’s NMR FoodScreener we create a profile of the honey we are testing and check that against the profile from the region indicated on the label and against other regions. The nectar and the “terroir" will have had an impact on the product’s composition, which allows us to differentiate which specific region the honey has come from. We are also able to check if components have been added or removed, and we can detect deviations from the normal concentration of sugars or amino acids of all parts of the honey. We have to be able to provide customers with assurances that the honey they are consuming has come from the labelled botanical and geographical origin so we can guarantee the taste and smell that they are expecting. The NMR food screener helps us achieve our goal to provide to the consumer the best quality natural honeys. Is there a problem with fake or impure honey in the marketplace? What can lead to honey being rejected? Fake and impure honey represents over thirty percent of non-complying honey that we reject every year. This is the case across the industry, for our company and for the authorities that control honey in European markets. Within the rejected 37% of honey there are two main problems. The first is adulteration of the product. We find exogenous sugars that shouldn’t be present including, wheat, cane and rice sugars. We use the food screener to detect exogenous sugars and it is also sensitive enough to identify syrup additions through sugar tracers. Secondly honey is rejected for having a false or mismatched botanical or geographical origin. The label might list for example "acacia honey from Hungary", but when analyzed we find it is something else, for example a polyfloral honey from China. The FoodScreener is able to detect this problem, we compare the profiles of the honey we are testing and the expected botanical signature to determine whether the label and the honey match. Analyzing Honey using NMR Technology from AZoNetwork on Vimeo. How does the type of pollen in the honey affect its taste, smell and texture? What has been the gold standard for analyzing pollen up to this point? When the bees collect the nectar they also collect pollen grains. At the lab we extract the pollen grain content, which only makes up 0.5% of the composition of the honey. We observe it with a microscope to characterize the honey. To do this the lab technicians have to identify the pollen grains. This analysis requires a high level of performance and skill because you can typically find over four hundred type of pollen grain naturally occurring and finding their way into the honey. This method is completely manual, which makes it quite difficult, with a steep and long learning curve to successfully use this method. How does NMR-based honey screening work? The FoodScreener is interesting because it will replace this method in a certain way. The NMR technology is based on a database, in this database we have several thousand reference profiles that are representative of many botanical and geographical origins. When we analyze an unknown sample, the profile generated by the screener will be compared to this database, and will allow us to confirm and to detect the botanical and geographical origin of the sample. How can the production process affect the quality of honey, and how can you test for this? The production process can affect the quality of the honey, specifically the HMF content. HMF is, hydroxymethylfurfural, which is a molecule produced by a degradation of the sugars. The NMR FoodScreener is able to quantify this parameter, so we can guarantee that the integrity of these products has been maintained throughout the production process. 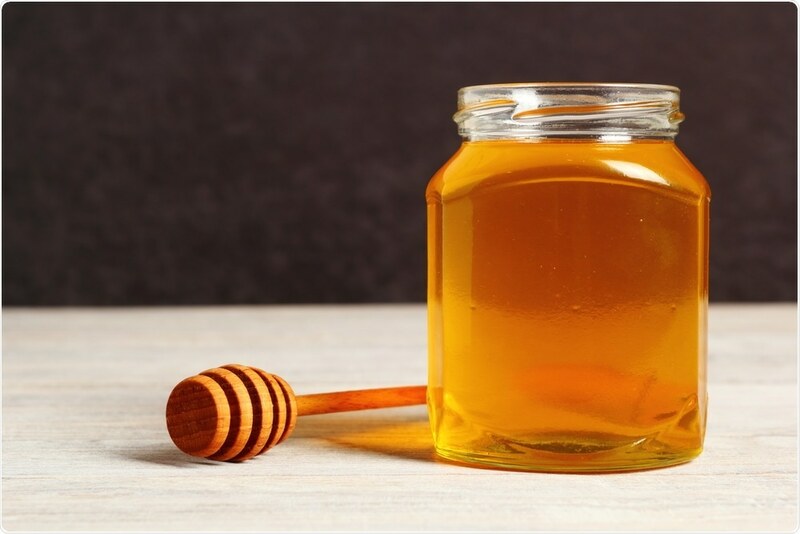 What impact has the Bruker NMR FoodScreener™ and its Honey-Profiling™ module had on your honey analyzes? In what ways is it different to your previous methods of analyzing honey? We used to analyze with several conventional methods. The first one is the isotopic method, where we look at the carbon atoms present in the honey. Then we would use methods to detect foreign enzymes or foreign oligosaccharides. We previously used between three and four different methods in order to ensure the level of authenticity of our products. With NMR profiling, in 20 minutes we are able to do with one method what previously took 6 days. The COFRAC/ISO70025 certification represents a high standard in scientific and technical skills, what does it mean to hold this certification? In the honey industry we are considered as a reference because we analyze a lot of samples per year, over one hundred thousand samples, so it was a natural progression to be accredited. We obtained the ISO 17025 accreditation in 2013, this accreditation certifies that we have the highest internal level of technical and scientific competence. So far several laboratories have already been accredited using NMR screening for honey. We project that we will be accredited with the ISO 17025 certification with this method in 2017, which will represent NMR profiling as a reference method for honey tasting. 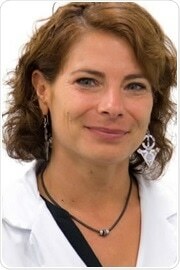 I am the lab manager of Famille Michaud Apiculteurs, and I have been working in the honey industry for sixteen years. I am also the Leader of the IHC Residues Working Group of the of the International Honey Commission, which was formed in 1990 in order to create a new world honey standard. Fianlly, I am a scientific expert of the FEEDM (Fédération européenne des emballeurs et distributeurs de miel).